This is my interpretation of a New York cheesecake. I’ve swapped the traditional cream cheese for a delicious mixture of cashews, coconut, and vanilla. You will need to make this cake in 2 steps, and give yourself 24 hours to complete it, since you will need to soak the cashews for at least 2 hours or overnight and will need freezing time for the cake as well. First make the crust and the “cheese” layers. 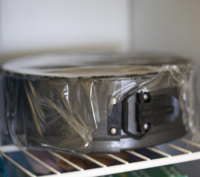 ONce those steps are complete, place the cake in the freezer for four hours or more. The final step is to make the topping and pour it over the chilled cake. You can serve the cake immediately or refrigerate it for up to a week. But I recommend eating it now! Soak dates in water overnight. Soak cashews in water overnight. 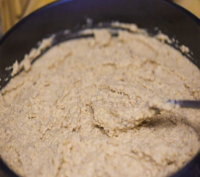 Add all crust ingredients to your vitamix and pulse until blended with still some nutty texture. 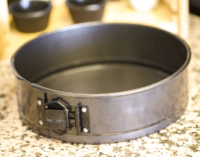 Spray an 8-inch spring-form pan with healthy non-stick cooking oil. Spread the crust evenly to cover the entire bottom of the pan. 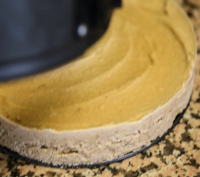 Add the cheesecake layer ingredients to your food processor and blend until completely smooth (scrape down the sides to get all the ingredients). Spread evenly over your crust. Place your Caramel Sauce ingredients into your food processor and blend until completely smooth (scrape down the sides to get all the ingredients). 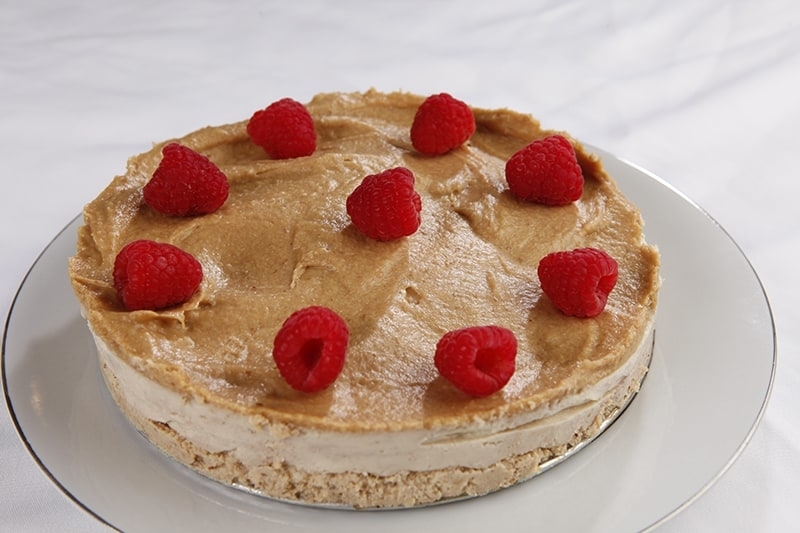 Remove cheesecake from the freezer. Place the cheesecake on a serving pan. Remove spring-form sides. Spread the caramel sauce evenly over the cheesecake. Cut into slices, serve and bon appetit!